Amongst the many bodies buried in the Double Buttes Cemetery in Tempe, AZ, you will find the Hayden family. Charles T. Hayden and his son Carl were prominent members of the community and chiseled their marks in Arizona history. Charles Trumble Hayden was born on April 4, 1825 in Hartford, Connecticut. His father died when he was only six and by the age of 16 he quit school and went to work. After studying law in New York, he worked as a teacher in several other states. By 1860, after running a successful business in Tubac, he moved to Tucson. A few years later, he was appointed as a probate judge by Governor Goodwin. 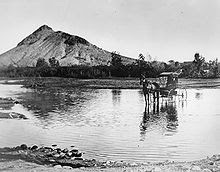 In 1873, Hayden moved to the Salt River Valley after being stuck there on a business trip because of flood waters. He saw the possibilities of this land to develop a new town and named it, “Hayden’s Ferry”. He developed many businesses on the land along with a cable ferry and grist mill. 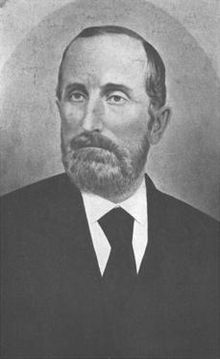 Hayden did make a run for Arizona Territory’s congressional Delegate in 1874 but was defeated. He established the Arizona Territorial Normal School which is now Arizona State University. Before his death on February 5, 1900, Charles was able to see the Central Arizona Project signed into law, something he worked very hard on. Just like his Father, Carl Hayden is well known especially in the state of Arizona. 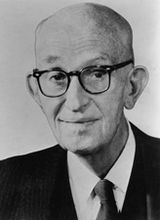 Carl Trumbull Hayden was born on October 2, 1877 in Hayden’s Ferry, Arizona Territory which was renamed Tempe in 1878. He attended Arizona Territorial Normal School (now ASU) and became active in politics after college. He married Nan Downing on February 14, 1908. She sewed the first state flag when the territory became a state. In 1911, Carl made his first run to Congress and in 1926 was his first run to the Senate. He also once served as sheriff of Maricopa County. After being elected, Carl became the first United States Senator to serve seven terms and longest-serving member of Congress. He was instrumental in creating the funding formula for the federal highway system and known as the “Silent Senator” because he almost never spoke on the Senate floor. Carl was well liked by many senators who would support him when he wanted unspecified things for the state of Arizona. His long term in the Senate was not without controversy, but he was behind many bills becoming law. He retired on May 6, 1968 and wrote a biography on his father. After fighting an illness, Carl passed away on January 25, 1972. Both Barry Goldwater and President Lyndon B. Johnson spoke at his funeral. You know, I moved here in 77 and people still talked about Hayden as if he were still alive. I knew he was vital to the state's history but never really knew all the reasons. Now, when I'm driving down Hayden to ASU, I have a new appreciation. Yeah, my high school was rivals with Carl Hayden High School. I do remember him and being a senator to the state but never really knew his history. You just never know who you will find in a cemetery. MM; I knew of him but not all he had accomplished.